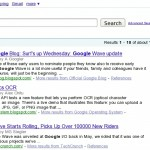 For the past few months there has been so many features included in Google services. 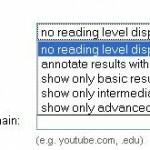 Search gets more options to help you get what you need, inclusion of labs features in Webmaster tools etc.., Now Google has stepped in enhancing its Reader, to help its users to find and read what they opt for. Yes, its more personalized for your wishes and likes. Google has officially announced the inclusion of these features in its Official Google Reader Blog, that users can explore more according to their likes and stay updated about what they read. I am always a fan of Google Reader, and this two features has made me to stick with it even more. According to Google, this feature can help the users to choose from the explore section about what is recommended for them, for their likes and dislikes and also they can stay updated about the popular items happening. 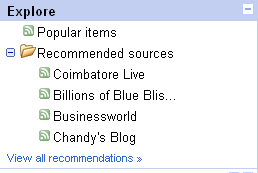 Previously, this recommended sources has been out there at the Home Page of your Google Reader. Integrating this feature in the navigation section can help the users to go through what is recommended for them as well as the new recommendations they are receiving. There is another section called Popular items which can get you all the popular posts, news, videos which can make you aware of whats happening in the Internet. These are determined by the reader trends(what you have read, starred etc.., in Google Reader) and the Web History for your account, Google said. We use algorithms to find top-rising images, videos and pages from anywhere (not just your subscriptions), collect them in the new Popular items section and order them by what we think you’ll like best. And to make it easier to find interesting feeds, we’re moving Recommendations into the new Explore section and giving it a new name – Recommended Sources . Its easy for navigating and getting the popular and recommended articles and feeds. 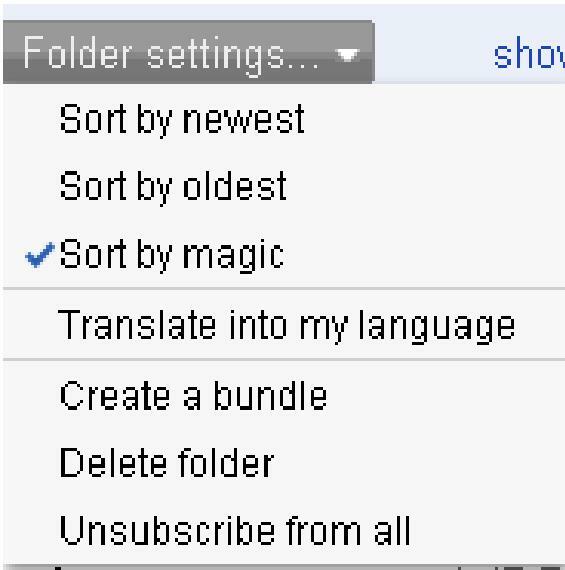 Unlike the old “auto” ranking, this new ranking is personalized for you, and gets better with time as we learn what you like best — the more you “like” and “share” stuff, the better your magic sort will be. This can help you to read what you like more and skip the others for reading it later.To say I am interested in this kind of features that can sort things of personal likes so that we don’t get involved and waste times in the things we don’t show interest. These features can enhance your reading and explore the areas you are interested in.